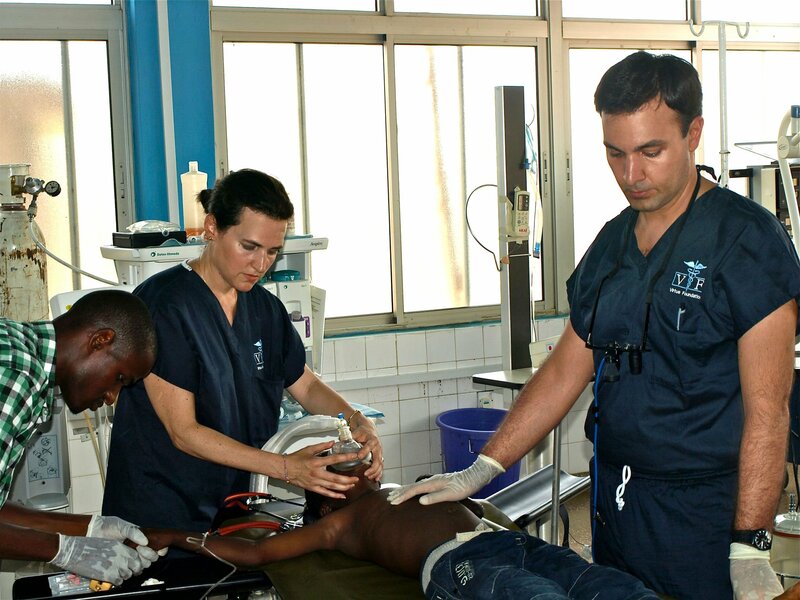 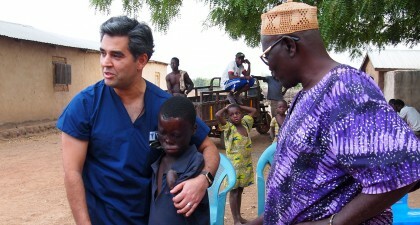 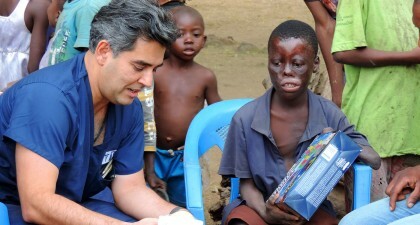 In 2012, Virtue Foundation traveled to Ghana as part of its annual Medical and Surgical Mission to Ghana. 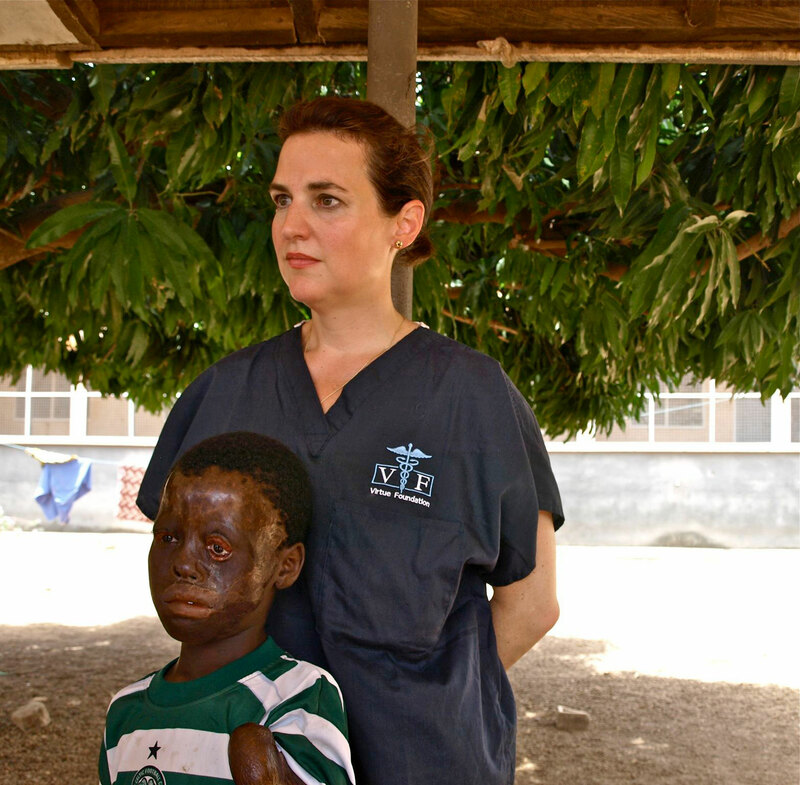 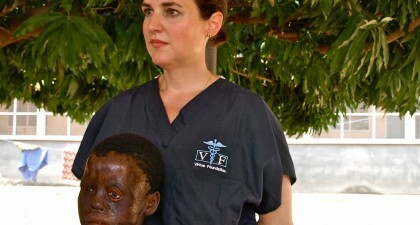 During this trip, the Virtue Foundation volunteer team met Latif, a six-year-old boy who was severely burned and scarred after walking into the flames of an open cooking fire at 8 months old. 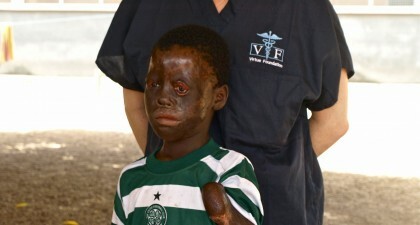 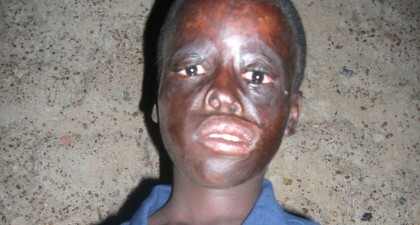 The burns he suffered on his face caused his eyelids to fuse apart, and his scarred appearance kept him from school and from being a properly integrated member of his village. 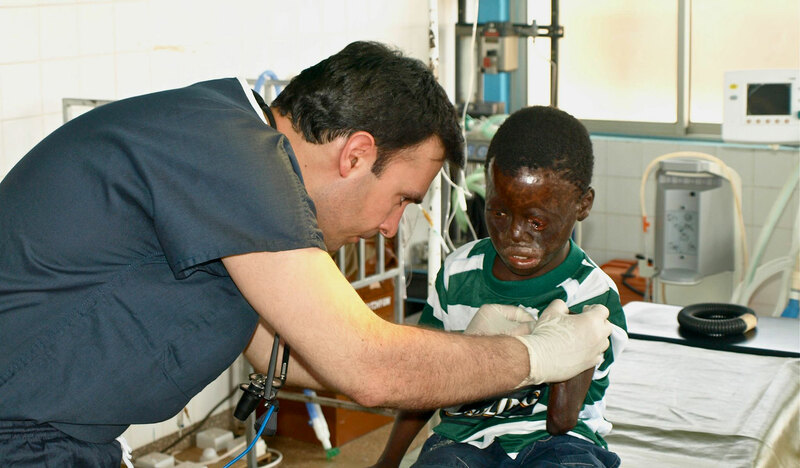 On this initial encounter with young Latif, Dr. Ebby Elahi, Director of Global Health and International Affairs at Virtue Foundation, performed reconstruction of his eyelids and release of the contracture on his arm, which was also very badly injured and deformed. 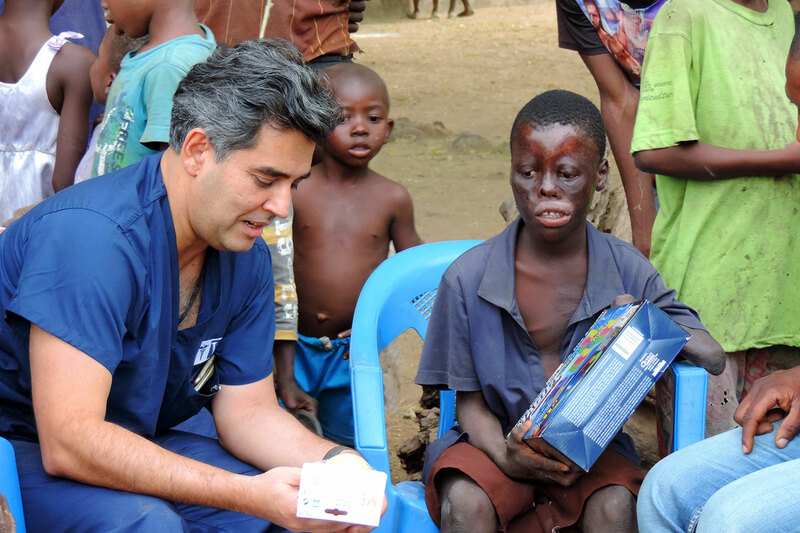 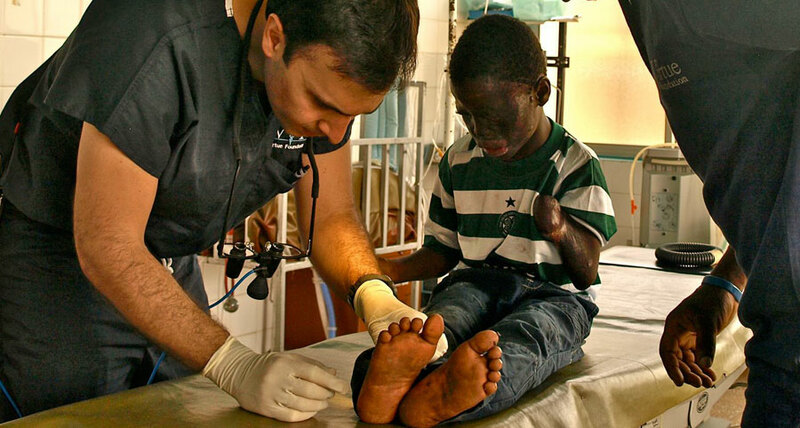 This was the first time Latif had received care for his injuries. 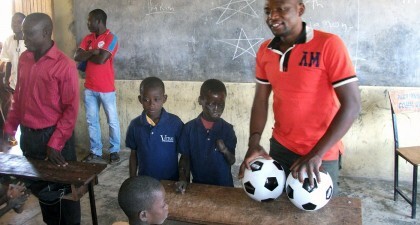 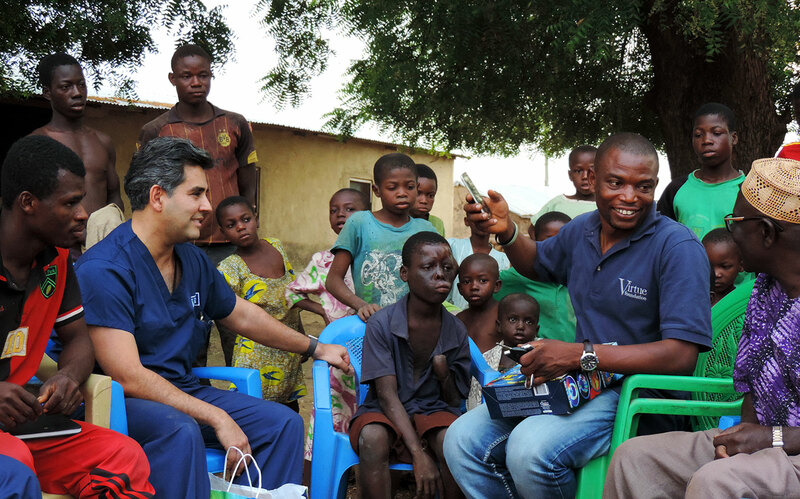 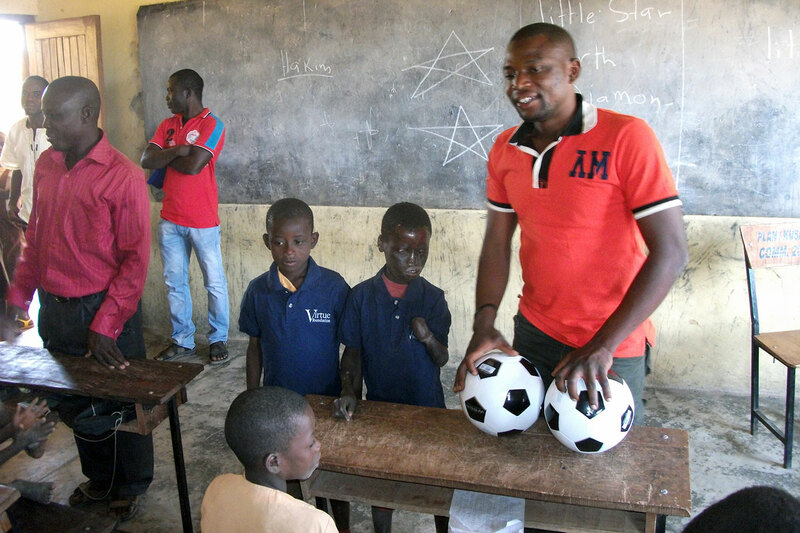 Since this first experience with Latif, Virtue Foundation has been following him closely and checking in with him routinely during the Foundation’s annual trips to Ghana. Though his eyesight was preserved during his 2012 surgery, the Foundation has found that he would benefit greatly from additional restorative surgery, especially to his arm to restore mobility and function, which would allow him to live a fuller and more active life at such a young age. 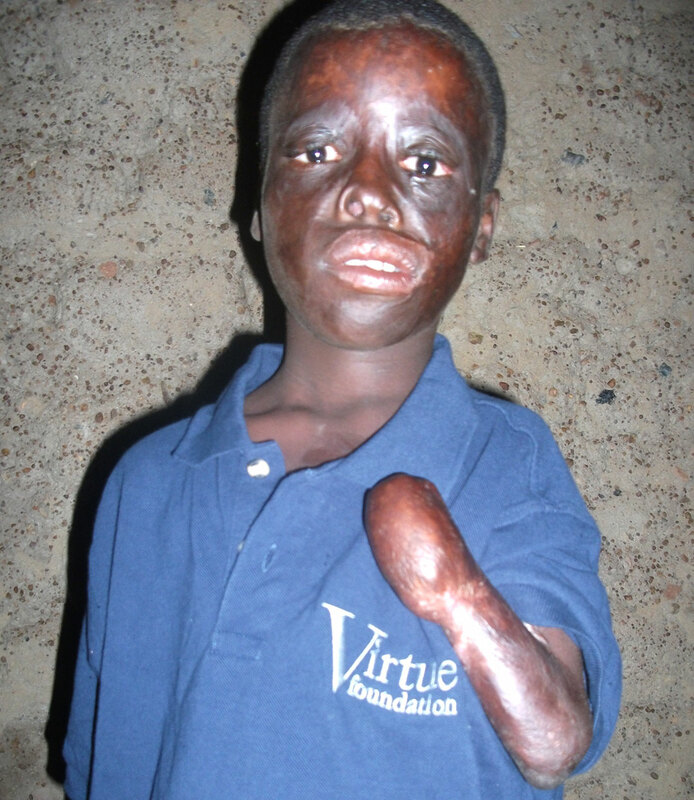 In order to do this, advanced surgery and extensive rehabilitation was required for Latif, services not available to him in rural Ghana. 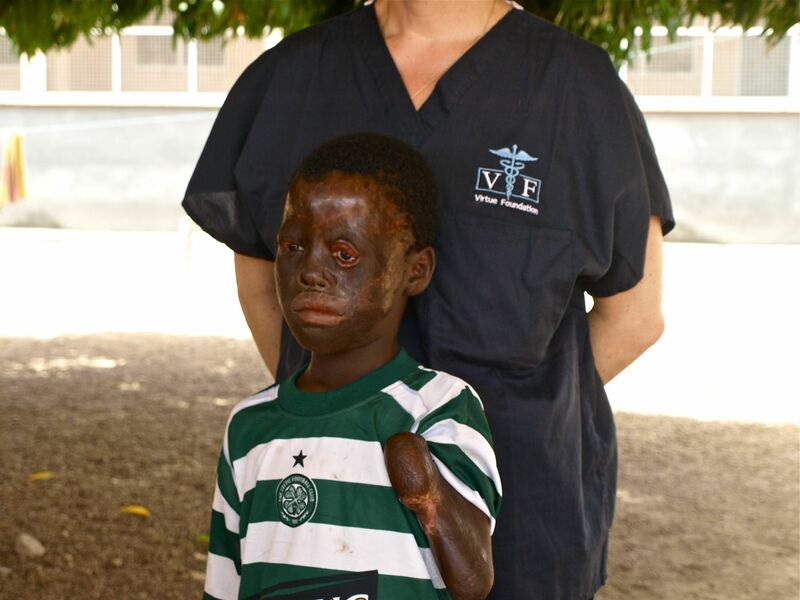 Virtue Foundation felt strongly compelled to see that Latif receive the surgery he needed and partnered with a number of institutions in Austria to ensure that Latif was helped. 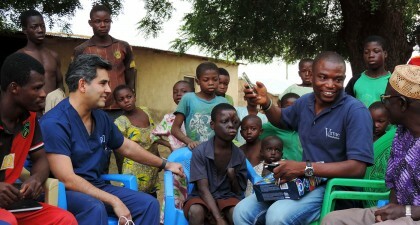 After years of work, decision-making, testing, and planning, Virtue Foundation transported Latif to Austria this past November 2017 where the Foundation’s Austrian representatives and longtime partners facilitated the sponsorship of his surgery and rehabilitation with the City of Vienna, AKH Hospital, and the Ghanaian Community. 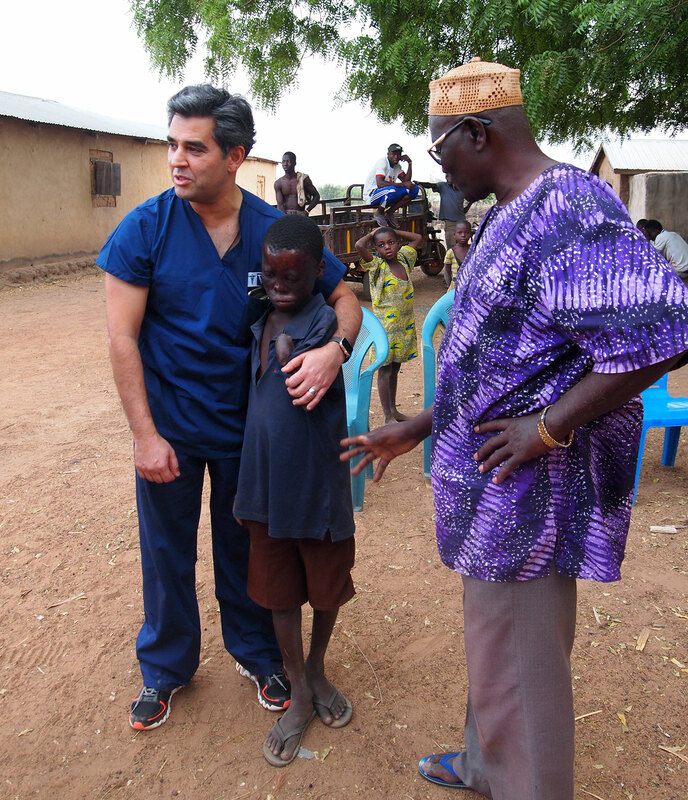 With such an amazing team of sponsors and individuals backing him, Latif received restorative surgery, rehabilitation, and was hosted until he was well enough to return home at the end of the year. 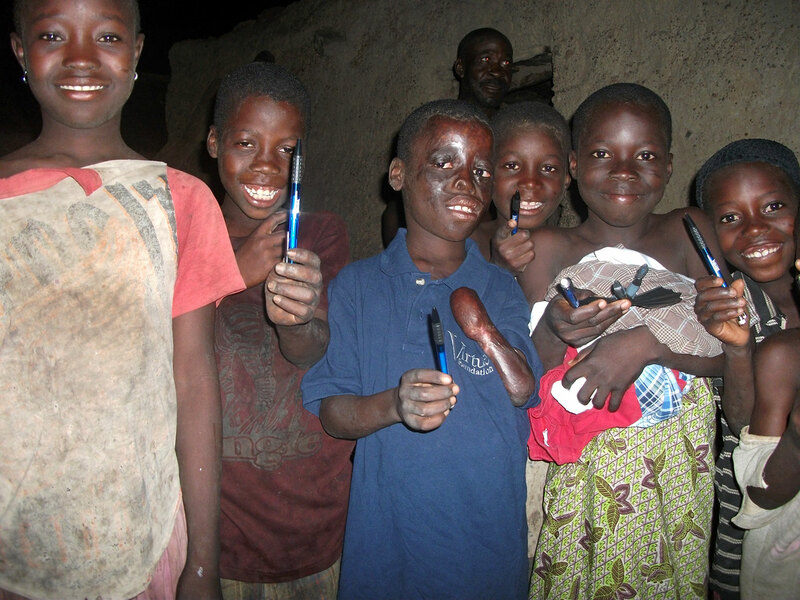 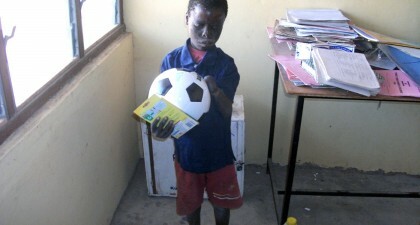 Latif is now back in his home village, among his peers, and attending his school. 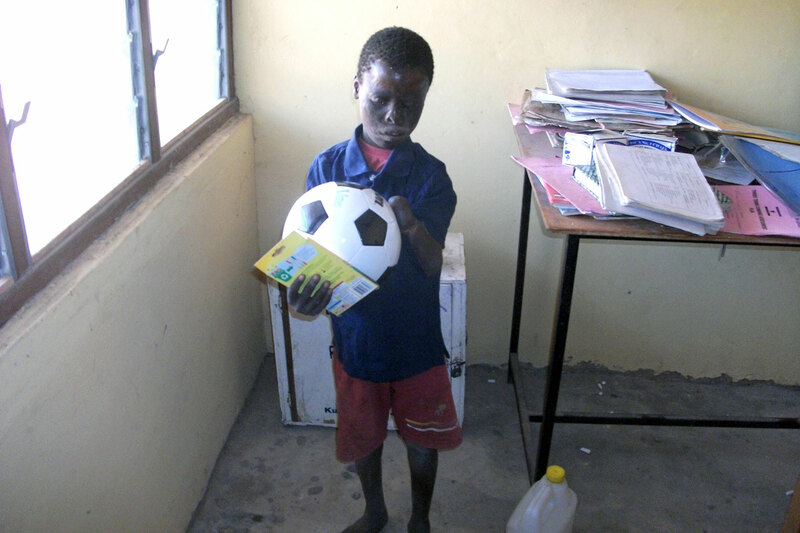 The Foundation is excited for this next chapter of Latif’s life and eager to see where he goes!